The case was brought to the Workplace Relations Commission. The case was appealed in light of disputed events. A MAN HAS been awarded €6,000 in light of remarks his employer allegedly made after realising that his new employee was 10 years older than he had believed. The man took his case to the Workplace Complaints Commission, arguing that he had been dismissed on the basis of discrimination because of his age. The commission upheld his claim in 2016 and initially awarded him €12,500. But his employer appealed the decision, and this amount was reduced to €6,000 in light of the differing accounts offered by both parties of what exactly had happened. The WRC found that it was likely that the comments about the man’s age had been made, but that the comments most likely had not formed the reason why the man was fired from the job. The appeal verdict was published by the WRC this week. Hired as a full-time production engineer, the complainant worked just 12.5 days at the jewellery design company. His starting salary was €21,000, to be reviewed after a six month probationary period. I thought you were much younger than that. Had I known you were that age I never would have hired you. 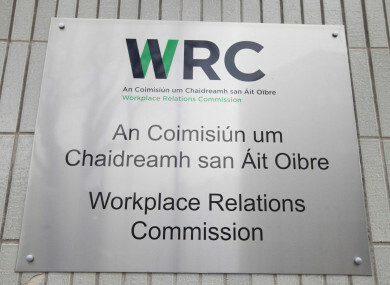 While the director denied these events, the Workplace Relations Commission concluded that, “on the balance of probabilities”, he had made the remarks about the complainant’s age as alleged. The director denied that this discussion about age took place, adding that he had a good idea of the employee’s age and that the two parties had discussed their ages and family situations in the job interview. An employee present at the time also said he did not remember the director making any remarks about age, and that no such conversation take place. While the director alleges that he had a good idea of the complainant’s age from his CV, the Workplace Relations Commission determined that there was no evidence that he had read the CV in any detail. The company’s four employees went for drinks on the day of the supposed discussion and there was no bad atmosphere, the director and employee said. The complainant confirmed that they went for drinks, but could not remember if it was on the same day as the discussion. Two days later, the complainant and the director had a one-on-one meeting. The complaint said that the director informed him that the six-month probationary period in his contract was going to be reduced to one month. He also asserted that, despite being told that he would shadow another employee for the first few weeks, he was instead instructed to start what was essentially full-scale production within the next few hours. The complainant says that he expressed concern, and was then told he was “fired” and must leave immediately. He requested a statement in writing that would explain why he was fired, but this was never received, he said. The Workplace Relations Commission concluded that this case is not convincing. It is likely, the commission said, that the complaint formed the view that he had nothing to learn from his colleagues and likely regretted his decision to take the position, with its relatively modest salary. They found the company director’s argument that his decision to terminate the complainant’s employment was related to his attitude, and not his age, to be more convincing. The company’s director denies saying that the six-month probationary period would be reduced to just one month. Instead, he said that he told the complainant that they would talk again in a month’s time to discuss how he was settling in. The director accuses him of not taking notes while shadowing other employees, of making “smart” comments and of coming in late on a number of mornings. The director claims that the complainant stepped towards him, asking if he was being fired. The director says that he replied by saying there was little future for the complainant at the company, and that he had little option but to ask the complainant to leave. The complainant uttered profanities whole leaving, he alleges. While another employee offered evidence at this stage, the court did not find it to be consistent or reliable. Email “'We don’t want any old people working here': Man awarded €6,000 over employer's remarks”. Feedback on “'We don’t want any old people working here': Man awarded €6,000 over employer's remarks”.